Two dudes grabbing a $6 dinner at a tiny restaurant on a crowded street in Hanoi, Vietnam, isn’t usually an international headline grabbing affair, but when President Obama dined with Anthony Bourdain on Tuesday, people around the world weren’t content with waiting until the next season of Bourdain’s Parts Unknown in September to get all the details. First, the POTUS is “very comfortable” with chopsticks. 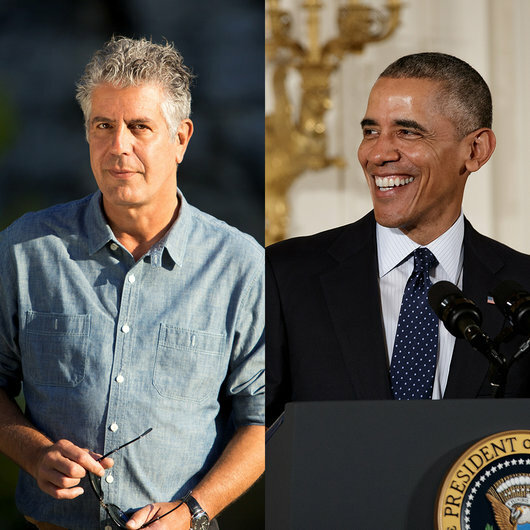 Second, Bourdain refers to the President as “an Asiaphile.” Third, Obama “clearly enjoyed sitting on a low plastic stool eating bun Cha.” Who knew that the President had an affinity for stools? I’m guessing no one. I’m not sure I’d even consider that a bona fide fact after I read it. So there you have it. Hopefully that’s enough info to tide you over until September. I am left with two major questions though: What the hell is the app li.st? And is Anthony Bourdain the only person on it?? That would be a pretty cool app: I imagine it being like Twitter but the only one who is allowed to post is Anthony Bourdain.